Store up to 30 M16s with optics attached in one cabinet without sacrificing accessibility, security, or space in your armory. The taller, 84” UWR design allows for added flexibility and capacity in your arms rooms without compromising the security of the standard UWR. 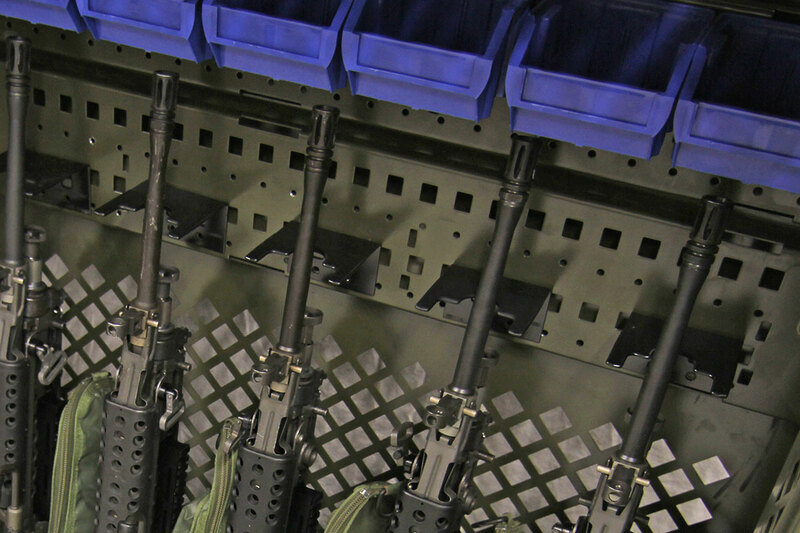 The intermediate shelf allows for two-tier storage of M4s, M16s, MK16s and MK17s, and all accessories are powder-coated, vinyl-dipped, rubber, or thermoplastic to ensure weapons are safe from damage. All weapon cabinets meet both OPNAVINST 5530.13C and AR 190-11 security requirements. Along with peace of mind, the 84” weapon cabinet saves space in your armory and features the greatest capacity of any weapons rack on the market. 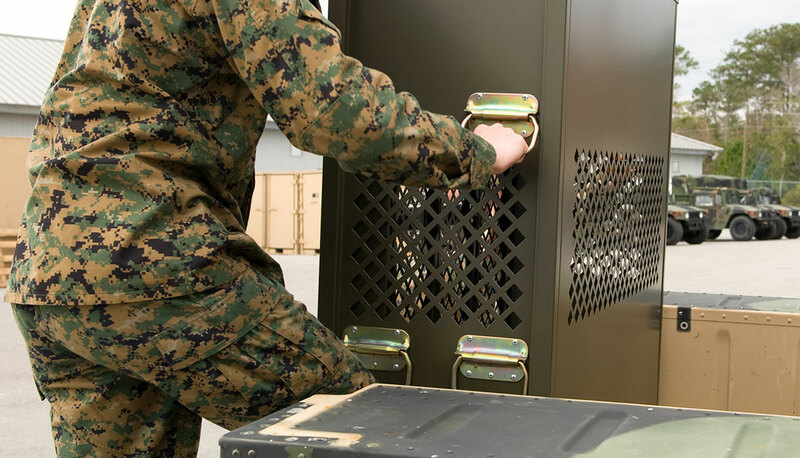 Retractable doors prevent blocked cabinets and obstructed aisles, while perforated doors, sides, and cabinet-backs aid in the efficiency of conducting a weapons inventory. The 84” cabinet allows you to store almost any combination of sidearms, rifles, and crew-served weapons in the same cabinet and reconfigure the accessories as your storage needs change. The cabinet even offers the option to add full shelves for storing other accessories. Transport or relocate your weapons cabinet as needed by adding handles to the 84” cabinet.